Marco Fabián flew from Frankfurt to Philadelphia on Thursday, as negotiations continued toward his potentially sighing with the Union. 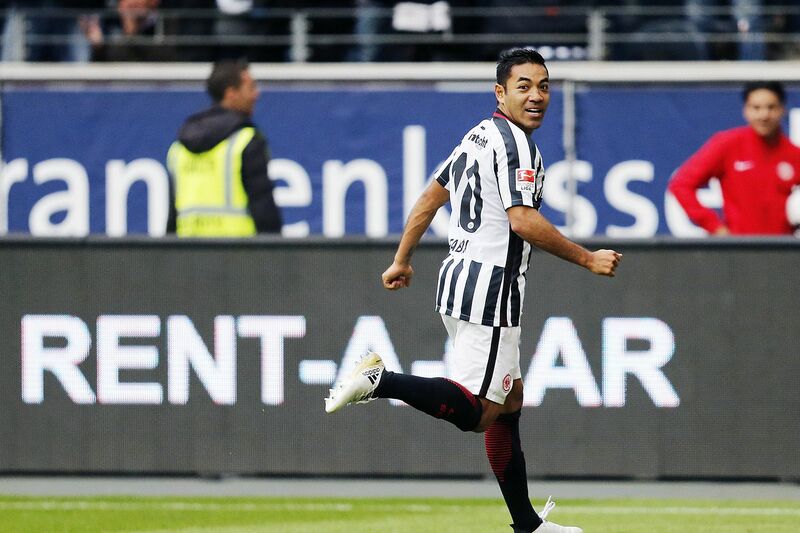 Marco Fabián flew from Frankfurt to Philadelphia on Thursday, as negotiations continued toward him potentially signing with the Union. The German newspaper Offenbach Post kicked off a long day of reports and rumors Thursday morning with word that Fabián had said goodbye to his Eintracht Frankfurt teammates and packed up his apartment in the city. Within a few hours, the Mexican media were full of chatter on their national team’s midfield stalwart. Not all of it was quite right, though — especially a Fox Sports report that Fabián was only a medical exam away from a Saturday unveiling by the Union. That wasn’t true on two fronts. First, the deal isn’t quite that close. Second, the unveiling might not be Saturday. A source confirmed that it could happen as soon as Friday. ESPN reported Thursday afternoon that the Union and MLS have tentative plans for a Friday unveiling if everything gets wrapped up in time. Fox later updated its report to say the same thing. The “if” there isn’t small. Call it medium-sized. Fabián wouldn’t have flown to Philadelphia if he didn’t mean business, but there’s still business to do. This much is certain: the Union have rarely, if ever, had this much attention on them from the soccer world. It has been a long time coming for a club that has often behaved like a small-market club even though it’s in one of America’s biggest metropolises. Signing Fabián would bring the Union into a major spotlight — especially among the region’s growing Hispanic population, which the team has often ignored. By coincidence, the Union have long had an event planned for Friday night to launch sales of their new alternate jersey for this season. It really is just a coincidence, but it’s a quite fortunate one. Would Fabián be there? The easy answer is that if he hasn’t been signed yet, he obviously won’t be. For now, the wait continues. And in a way, that might not be the worst thing. Had the deal been finished and announced Thursday, the buzz would have been obliterated by the Sixers’ trade of Markelle Fultz and the Phillies acquisition of J.T. Realmuto. The coast is never fully clear on the crazed landscape of Philadelphia sports, but a Friday presentation should get the Union more attention in town.